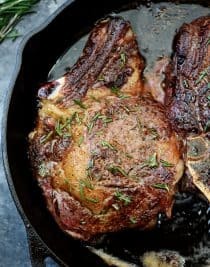 Skillet Rib Eye Steaks Recipe – Butter-basted skillet rib eye steaks that will remind you of your favorite steak house rib eye steaks! If you love steak, and I mean goooood steak, then I can’t even begin to tell you how much my family loves these skillet rib eye steaks. They taste like we’re sitting at the table of one of the finest steak houses for a luxurious meal. These skillet rib eye steaks are a cinch to make with just a few steps that make for an absolutely scrumptious steak every time! It all starts with the steak. 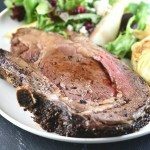 I like to purchase 1 1/4 to 1 1/2-inch bone-in rib eye steaks for this recipe. If you do not see them readily available in the meat case of your super market, you can ask the butcher to cut them for you. I generally call ahead if I’m planning to serve these for a special occasion. 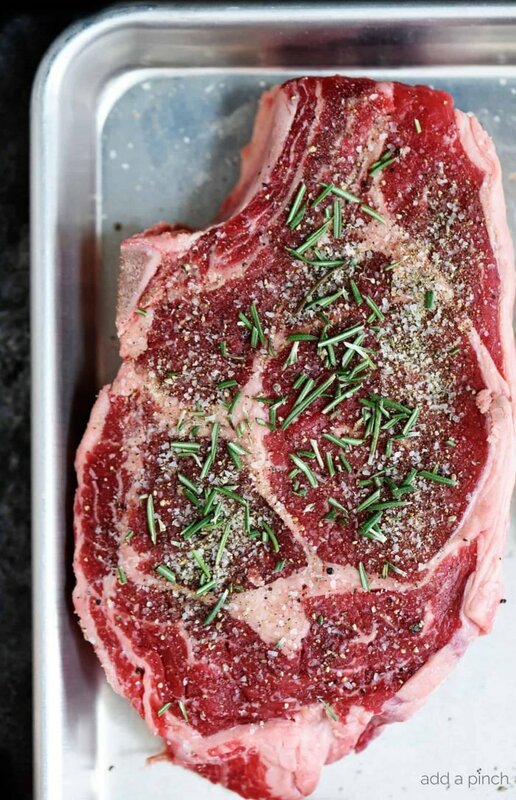 Place the rib eye steaks onto a sheet pan and then sprinkle my Stone House Seasoning on both sides of the rib eye steak, making sure to pat it into the meat so that it adheres. If you don’t already have a batch of the Stone House Seasoning mixed and on standby in our spice cabinet, this is the perfect recipe to go ahead and mix up a batch to use! 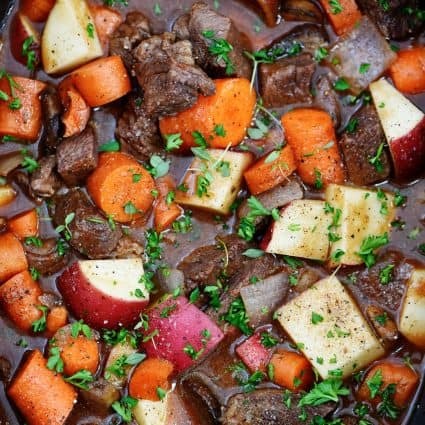 We love it on so many dishes – from chicken, fish, and beef to vegetables, it is delicious! At this point, I personally like to cover my rib eye steaks and let them rest in the refrigerator for an hour or more. Many times, I’ll prep my rib eye steaks one evening for cooking the next. Before cooking, I remove from the refrigerator and allow to rest at room temperature for 30 minutes before cooking. 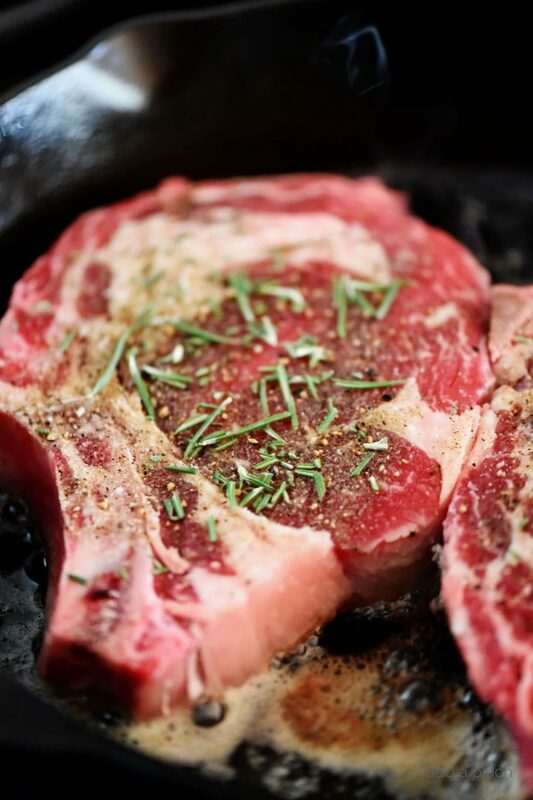 If you are preparing to cook and do not have time to refrigerate overnight, at least let your steaks rest at room temperature for 30 minutes before cooking. When ready to cook, heat your skillet over medium heat and then add your butter and olive oil to the skillet. You’ll want to use the combination of both the butter and olive oil here. I know I’m always the one singing the praises of salted butter, but for this recipe, I recommend unsalted butter. 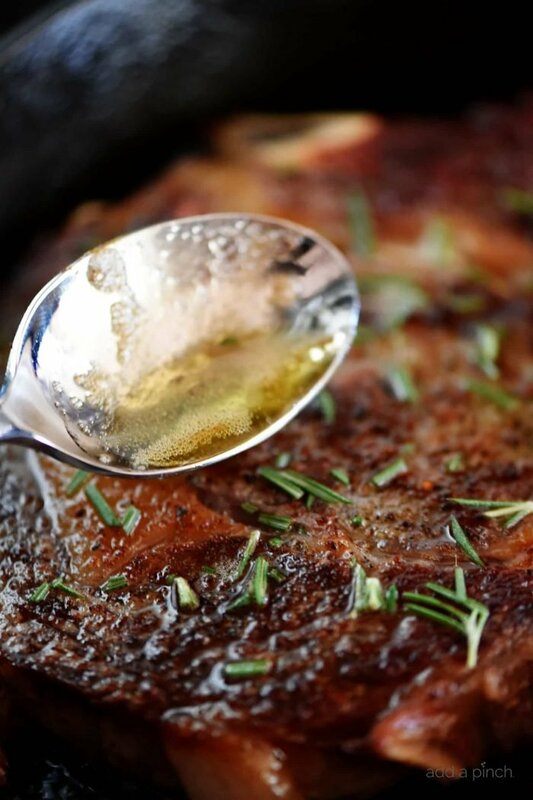 This is a great time to use unsalted butter for your butter in this recipe since you’ve dry brined your rib eye steaks with the Stone House Seasoning which includes kosher salt. Once your butter has melted into your olive oil, tilt your skillet from side to side to make sure that the skillet is well coated with the butter and olive oil mixture. Then, carefully add your steaks to the hot skillet and cook until dark brown and caramelized on the bottom, about 5 minutes. Turn your rib eye steaks over to cook another 5 minutes, for a medium-rare steak, basting the rib eye steak the entire time with the butter and olive oil from the pan. Remove the steak from the heat and transfer to a carving board or serving platter to rest for 5 minutes. Carve the steak against the grain and remove from the bone for serving. Generally, one steak will serve two people, but use your own judgement for servings here. 🙂 And yes, just add the number of steaks for the number of servings you need. 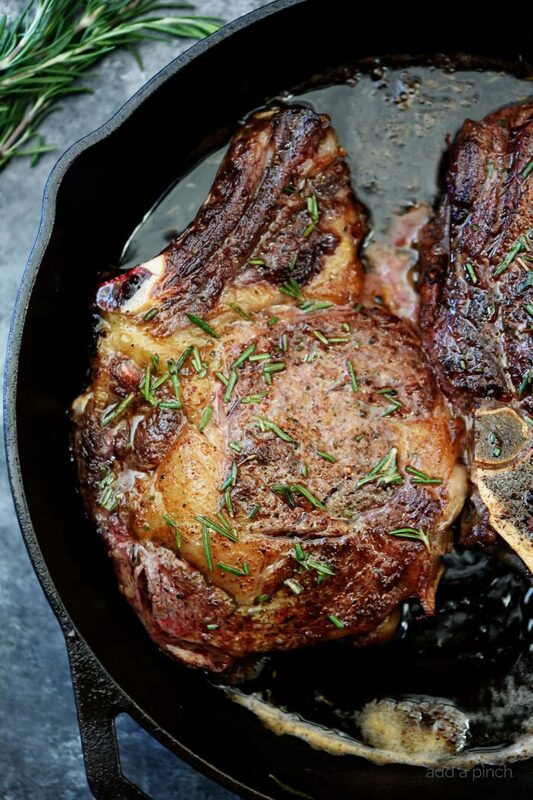 Here’s my Skillet Rib Eye Steaks Recipe. I hope you love it as much as we do! Place rib eye steak onto sheet pan and rub both sides with Stone House Seasoning to coat, making sure to press the seasoning to the meat. Sprinkle with fresh rosemary leaves. Cover and refrigerate your rib eye steaks up to 3 days. When ready to cook your rib eye steaks, remove from the refrigerator and allow to rest at room temperature for 30 minutes. If prepping your steaks for cooking immediately, leave at room temperature for 30 minutes. To cook, heat a medium skillet over medium heat. Add butter and olive oil to the skillet and allow the butter to melt completely. Tilt your skillet from side to side to make sure that your skillet is well coated with the butter and olive oil. Add your rib eye steak to the butter and olive oil and cook until the bottom of the rib eye steak is brown and caramelized, about 5 minutes. Turn your rib eye steak over and cook, basting your rib eye steak continuously with the butter and oil drippings from the skillet, until this side of the rib eye steak is also brown and caramelized, another 5 minutes or to your desired internal temperature for doneness. Remove your rib eye steak from the heat and allow to rest on a carving board for another 5 minutes. Slice your steak with a sharp knife against the grain, taking care to remove the bone. Place steak slices on two plates for serving. Increase the number of rib eye steaks based on the number of servings needed. 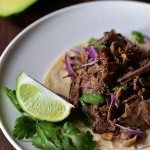 Incredible…I also read your post and I really enjoyed your recipe, and these looks soooo good and delicious, and I love your pictures as well, I will definitely try to making this. 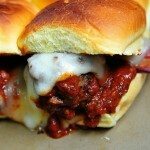 In addition to this is one of my favorite recipes till now. Thanks for sharing….! Thank you for the recipe. It is certainly too cold to grill, and we love a good steak. I would like the recipe for your Stone House Seasoning. I’ve included the link below for you for the Stone House Seasoning recipe. You can also just click on the underlined words for Stone House Seasoning in the recipe listing and it will take you right to it. I hope you enjoy it! I love pan fried steaks. I used to be die hard about grilling but I realized there is no side to choose, they’re both delicious and have two completely different flavors. Just depends on which you want. There’s nothing like a gorgeously caramelize steak on the plate. This recipe sounds really good and I’d love to try it. However, I’m married to someone who HATES butter. He also hates coconut oil because it reminds him of butter. What if I use only olive oil, or can you suggest something else? You could use olive oil in place of the butter. I may sell my large outdoor grill. I cooked your Skillet Ribeye and Wow! What a beautiful, tasty, as good or better than any steakhouse steak I have ever had anywhere. Perfect in every way. Thank you for some of the most wonderful recipes on the internet. You are the BEST!!!!! I used Highland rib eye and used this recipe……best steak ever.thank you. I’ve heard this too. However, I prepared it exactly as instructed, and it definitely did not lack moisture. It was AWESOME!!! Hey i use loin for this recipe. Is that okay? Will it taste the same or better? I’m so glad you enjoyed the rib eye steak recipe! Isn’t it amazing? Awesome!!! The best steak I have ever cooked! 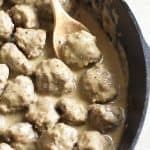 I just made this recipe for my family and the loved it! Thanks! I thank you for such a simple but amazing recipe to prepare my ribeye steak. I bought it from fresh market & omg is it huge & I’m doing the 30 minute wait period & can’t wait to finish it! I have cooked it similar to your recipe & yours was the first one that popped up when I googled it. I can tell you before I finish that it will be Amazing! I only had Emerils Steak Rub & have small garlic parmesan potatoes to eat this with. Thanks again ! I just tried this recipe tonight, and these were the best steaks I’ve ever made!! I’ve never been much of a cook, so a lot of times I rely on good recipes. This is by far my favorite! The steaks were tender, juicy, and had lots of flavor. 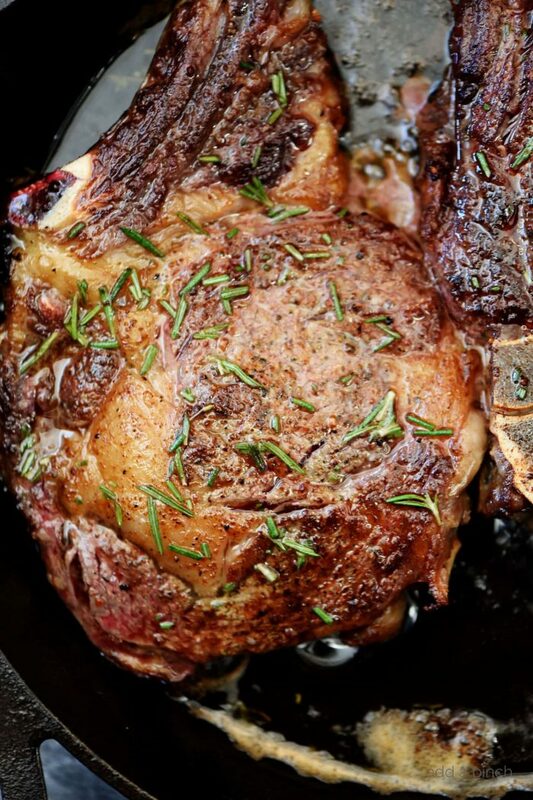 Thank you for sharing this delicious recipe for rib eye steaks! I am so glad that you enjoyed them, Gabrielle! Thanks! I just tried your recipe tonight. The steaks were amazing and everyone enjoyed them!!! They were flavourful and tender. The time and effort to make them was so quick and effortless. Thank you for a wonderful recipe. This is the first steak I’ve ever made (I don’t eat meat myself) and my partner was in love with it! Thank you so much for sharing this recipe! And it was a bit pink inside, just as he loves it! Tried your recipe and the steaks were scrumptious!!! The best I’ve ever made. My husband was one happy guy. Oh my gosh!! 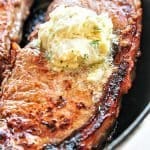 This is a fantastic recipe for rib eyes and the stone house seasoning is superb. So tender and delicious. Trying it with regular sirloins tonight to see if it helps tenderize and flavor. Thank you so much!! !